I will admit that I am a Harry Potter fan. The guy I was dating when the books first came out actually bought me the first in the series. Let's just say that relationship didn't last until the final book. Fast forward now that I have kids who are fascinated by all things magic, why not make them look like mini-Harry? 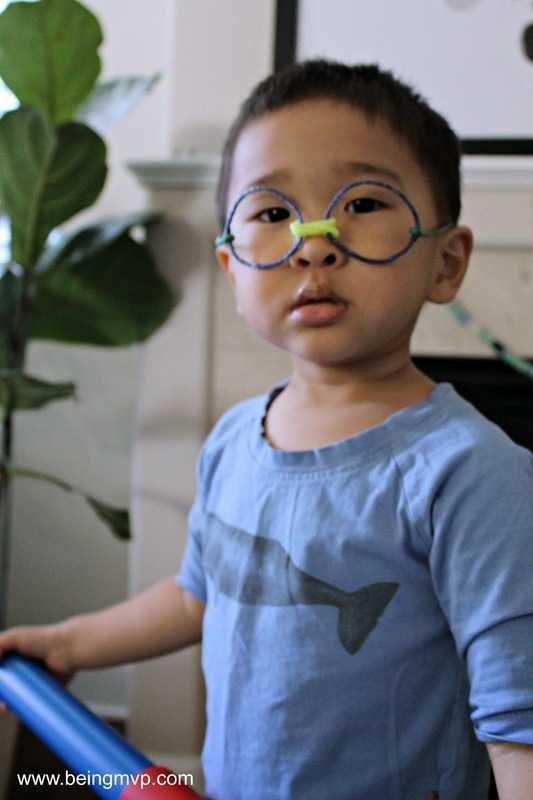 Since Kenzie insisted upon the Wikki Stix from her trip to Mammoth a couple weeks ago and the only thing she has made is a huge wadded up ball, I thought it would be fun to get a little silly and magical with Harry's nerdy glasses. Super quick and easy but loads of fun and cute photo ops! 1. 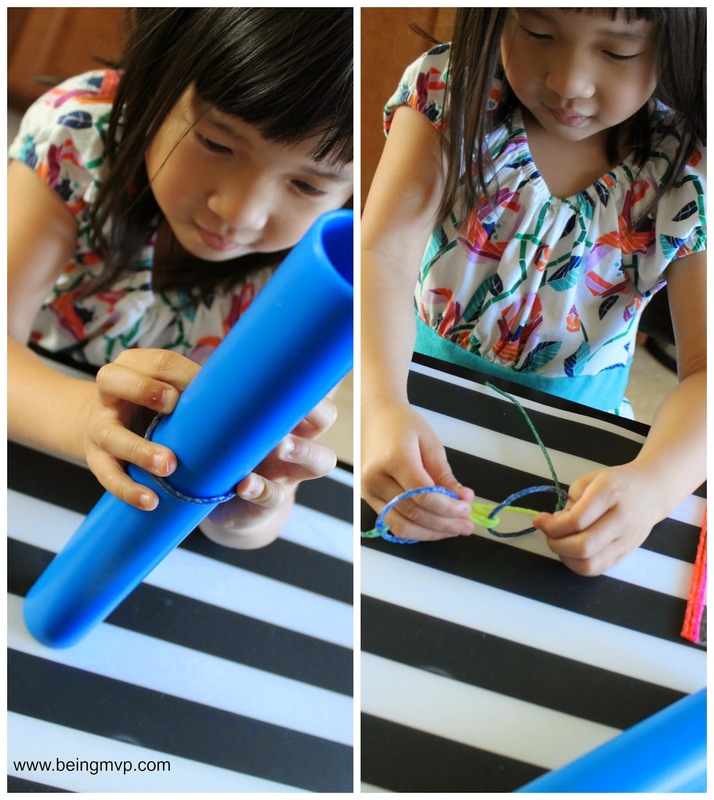 Wrap a wikki stix strand around a round tube and twist the ends to create a circle. Do this again so that you have 2 circles. 2. Cut about 1.5 inches of a wikki stix strand and connect the two circles with it. 3. 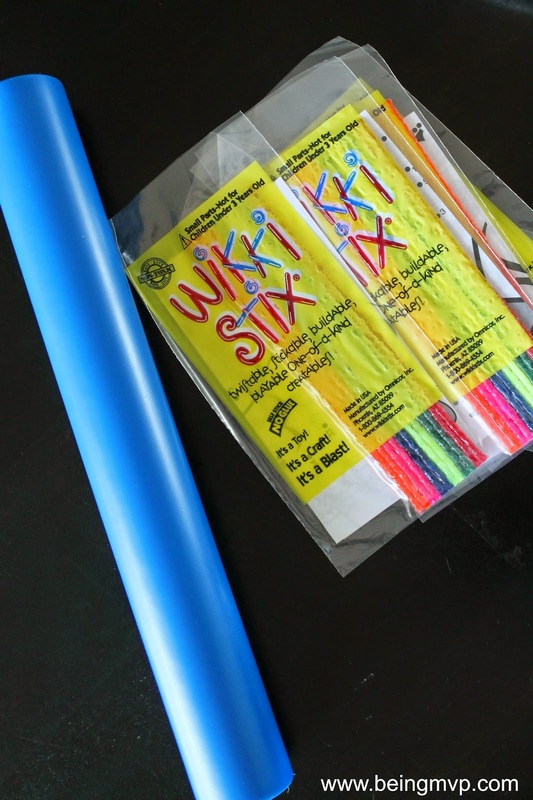 Connect a wikki stix strand to either side of the outer circles and curve the end so that it can fit over your child's ears. You can embellish with bows if you'd like. 4. Make several as party favors or just to keep around to "play magic". 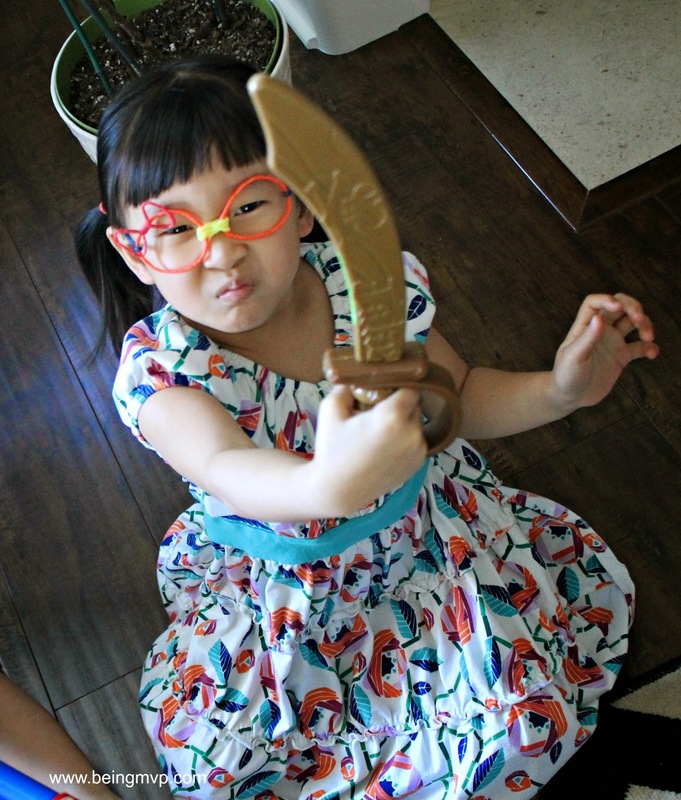 Add a cape and a wand (or sword and tube) and your child is ready to go to Hogwarts! 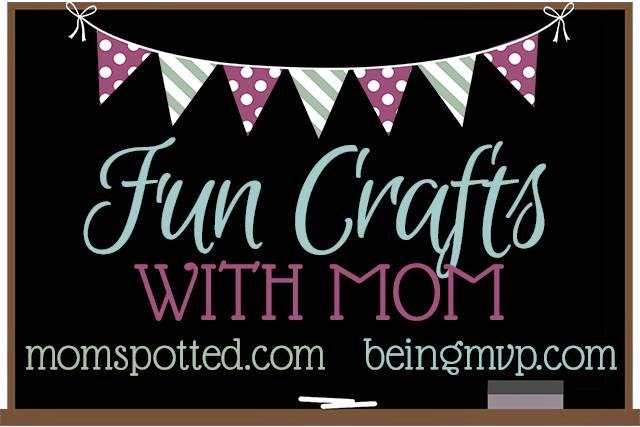 Check out the The BEST Easy No Cook Play Dough from MomSpotted this week. I hope you enjoy and link up your craft! 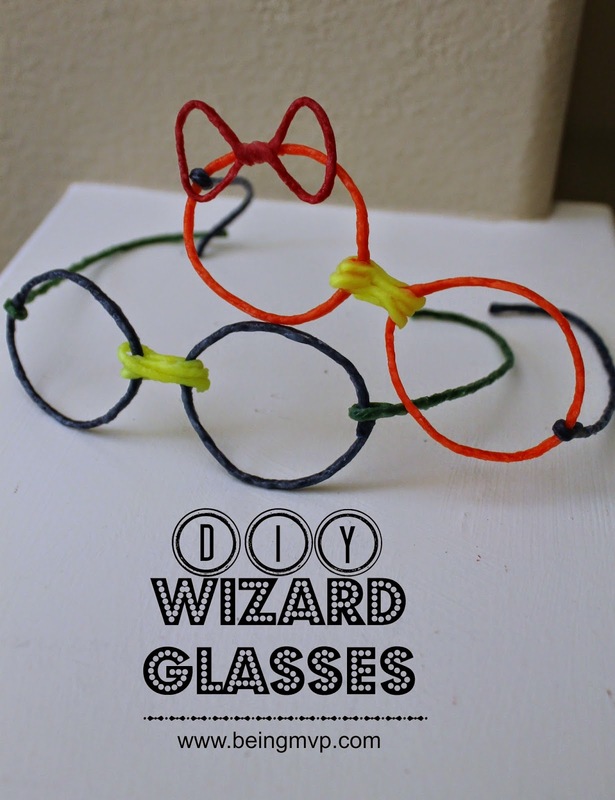 I have never heard of Wikki Stix before but the glasses are really cute! OH these are too fun!! I love the little bow you added! Too cute!! I have never heard of wikki stiks but will have to check them out now! !